Church Insurance Archives - Integrity Now Insurance Brokers, Inc.
Today we met with an existing client who is a nonprofit organization of ours Clothes The Deal. We help this organization with their Property and General Liability insurance and they asked us to help them with their workers’ compensation insurance as well for their upcoming renewal. We ended up placing them with one of our exclusive insurance markets and saved them over 15% off of their current workers’ compensation insurance coverage. While I was there the Executive Director showed me around their facility and shared their vision of what they do. Clothes The Deal is a non-profit organization that provides business attire to low-income individuals, people who were recently released from prison, individuals who were homeless, and disabled veterans just to name a few, to empower them to interview with dignity in order to gain employment. These individuals can receive a complete suit, tie, and shoes all at no cost to these individuals. Clothes The Deal also provide workshops to individuals which focus on six main areas of developing a professional image: Self-Confidence, Business Etiquette, Wardrobe, Accessories, Hair, and Make-up. Through these workshops people are given the tools that allow them to show up for an interview and have an increased chance at getting the job they desire to be in. They are here to help both men and women which they stated is unique to them as most organization usually only focus on a single gender. While I was at Clothes The Deal, I saw first hand a gentlemen being fitted with a suit with the help of staff. After he finished he walked out and had the biggest smile on his face. It was a great experience to witness first hand someone who had just received a gift and a new opportunity to succeed. I recently had the privilege to meet Shannon James with Beacon for Him Ministries. We were going over her nonprofit insurance needs and in doing so I got to know the heart of Shannon and what drives her. I love the insurance industry and working with nonprofit organization because I get to see and sometime experience different ways people and organizations are used to serve others and in this case share the love of Jesus. Beacon For Him Ministries works with the homeless community in a very unique way. Not only do they provide food and clothing for the homeless community, Beacon For Him Ministries has become the homeless community home church. This community of people located in Long Beach, CA told Beacon For Him that “we consider you our church family” and asked them, “can you start a church service for us on Sundays”. It is truly amazing to see how God works and the people He will use if we as a community of Believers will just say yes to being used by God. What a great opportunity to share the love of Jesus. Beacon For Him Ministries has a need and that need is money. They are a small operation with a small amount of funds received each year but they have a big heart and big expenses. They have a go fund me page set up but the amount that they are showing is no where near the funds they need to keep operating. Please click on this link (DONATE NOW) which will take you to their Go Fund Me page. They need tens of thousand of dollars to keep open so they can continue to help the homeless and share the love of Jesus on a daily basis. When it comes to insurance, most people don’t want to deal with this topic until something happens. In addition, many people within their church believe their insurance policy will cover them for more things than their insurance policy was written for. Recently, Texas and Florida experienced major flooding that devastated the local areas. Church flood insurance is not a insurance coverage that is included in a standard commercial liability policy for a church. This is a specific exclusion as this coverage needs to be purchased through a separate policy. An interesting fact that many people are not aware of is that floods are the nation’s most common and costly natural disaster in the United States of America and they cause millions if not billions of dollars in damage every year. You might also be surprised to learn that more than 20 percent of floods happen outside of flood zones according to FEMA. While flood insurance is an added expense for a church to obtain, it could end up saving your church and its members millions of dollars depending on the size of your building(s). In the aftermath of hurricane Irma and Maria and the devastation that was caused, we recommend for you and your board members to sit down and discuss the need of obtain flood insurance for your church. While you may or may not decide to purchase flood insurance coverage for your church at the end of your discussion, it will be good for you to at the very least have the discussion and consider the cost of obtaining this important coverage. Integrity Now Insurance Brokers understands that churches have limited budgets and it is for this very reason that this coverage becomes all the more important for your church to consider. We would love to discuss with you and your church the annual cost and how a church flood insurance policy can help provide greater protection in the event of this type of loss happens in your community. First, the 10% limit on charitable contribution deductions by corporations are made subject to a limitation of 15% of taxable income. The general ten-percent limitation for a corporation does not apply to these contributions, but the ten-percent limitation applicable to other contributions is reduced by the amount of these contributions. Qualifying food inventory contributions in excess of these 15-percent limitations may be carried forward and treated as qualifying food inventory contributions in each of the five succeeding taxable years in order of time. You have insurance for your church now what? Most churches assume they have all the insurance coverages they need or are supposed to have. This assumption can be a bit misguided as many agents don’t understand insurance for churches or are only focused on price so they remove coverage to win the account. Also most churches assume the language within each church insurance policy are the same no matter which carrier they have or are considering using in the future. That is until they file a claim. Determining what type of church insurance coverage you need for your church doesn’t have to be difficult. Integrity Now Insurance Brokers, specializes in church insurance. In working with a specialist we make obtain insurance for your church as painless as possible. And because we have access to a number of national insurance carriers that also specialize in insurance for churches we can help your church from a budget point of view without sacrificing coverage. A great starting point is to ask some of the same questions that you would ask about your own personal liabilities that you have at home or when your driving your personal car. Insurance policies come in many forms and have many different purposes. 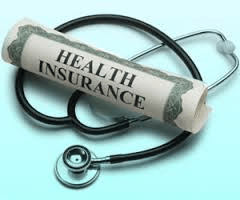 What (and who) do you want the insurance to cover? What amount of insurance coverage does your church need? Is the building coverage enough to rebuild your church in the event of a fire? Should we purchase an umbrella policy to deal with a catastrophic liability claim? How long will you need the coverage for? What’s your budget for insurance? Equipment breakdown, including computers, boilers, and electrical equipment. Newly acquired or constructed property (our limits exceed industry standards). Ordinance or law – building updates to meet with current building codes following a covered loss. Personal Effects and property of others on a worldwide basis; for example, property lost on a mission trip. Fire and security alarm upgrade – reasonable additional costs to upgrade your system when replaced due to a covered cause of loss. Utility services interruption (direct damage and time element) for example, a storm knocks out usage of your utilities and causes damage. Indirect loss, such as the loss of church income and tuition fees resulting from a covered peril, including a violent incident; e.g., a church intruder. Green upgrade coverage – pays for the reasonable additional costs to upgrade to more energy efficient and environmentally friendly building elements and appliances in the event of a covered loss. Key person replacement coverage – provides for the reimbursement of recruitment expenses to replace a senior or executive pastor who dies in a work-related accident. Limited flood coverage – provides building and personal property coverage on a limited basis when loss or damage is a direct result of flood. As you can see there are many different types of insurance that can be included in your policy or excluded from a policy. it is important to have a trusted advisor like Integrity Now Insurance Brokers to ensure your church insurance program is structured to protect your churches and your church members. There are many ways that insurance can benefit your church. Please contact us to find out how we can help you with your insurance needs. We are approaching another season for evaluating our healthcare programs. What have we learned about the Affordable Care Act in regards to churches? In many cases coverage is not what consumers expected it to be and premiums are much higher. Tax implications have changed. There is not a “one size fits all” scenario. Your plan depends on many things; your pastor’s salary, coverage needed and the size of the church. Will the church pay for all or part of the expense of the plan? Pastors must have coverage. Church leaders have a responsibility to see that their pastor’s compensation package provides coverage, or that the compensation package is adequate for the pastor to purchase coverage for himself. It may be cheaper for the church to purchase the policy itself, since up to 35% will be subsidized by the federal government. Church healthcare plans must be a “qualified” health plan. At Integrity Now Insurance Brokers, we have the expertise you need you help you find the best plan for your church. This is a good time to start thinking about your church’s health plan for 2015. Don’t wait until the last minute.